Heavy duty screw type mount includes square connector for 360 degree adjustment. Two adjustable pivoting action hinges for 130 degree vertical and 180 degree horizontal adjustment. Aluminum clamp fit handlebars upto 1 inch diameter. Protection rubber avoids scratches on handlebar during installation. 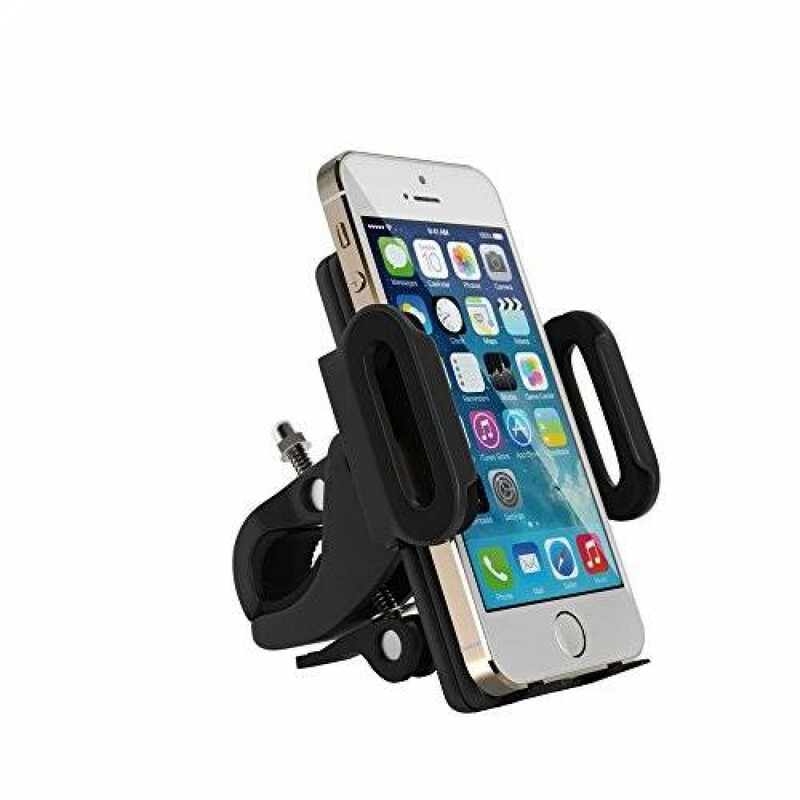 Satechi Universal Holder and Car Mount for iPhone 6, 5S, 5C, 5, 4S, 4, 3G and 3GS is the ideal solution for drivers seeking a hands-free solution in their vehicle. The Satechi CR-3600 is always within easy reach, and is safe and convenient. It features an extra secure mount that has adjustable pivoting action: up and down, left and right. It includes a super-strong adhesive pad called Smart Pad for alternative mounting locations. Note: State law prohibits drivers in California and Minnesota from mounting items on car windows that may obstruct the driver's view. 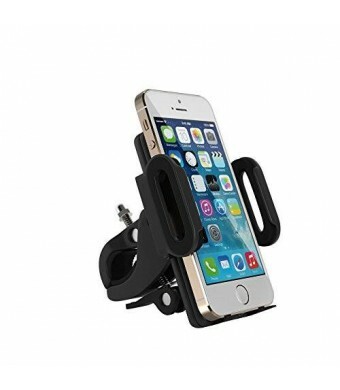 The Satechi Universal Holder and Bicycle Mount lets you attach your iPhone , iPod Touch, BlackBerry, HTC, and most other cell phones to your bike's handlebars so you can track your GPS position, your speed, or distance travelled, while you ride. This mount is always within easy reach, safe and convenient. It features an extra secure mount that has adjustable pivoting action: up and down, left and right. Mount your phone and enjoy the ride!